LAFAYETTE, Ind. – The Kokomo American Legion Post 6 baseball team traveled to Loeb Stadium and finished second in the Lafayette Invitational Tournament. The Sixers got off to a quick start with a 5-4 win, nine-inning win over Bristol Post 143. Austin Weaver improved to 4-0 as he picked up the victory on the hill. Justin Blevens led Post 6 with a double and single, while S.A. Dunn, Isaac Turner, Logan Macaluso, Austin Weaver and Keagan Downey all singled twice in the win. Things got easier in game two as the Sixers downed Porter County Post 94 8-1. Logan Macaluso picked up the win. Evan Warden had a triple and two singles to lead the offensive attack. Downey added a double while Dunn and Tyler Goudy each had two singles. 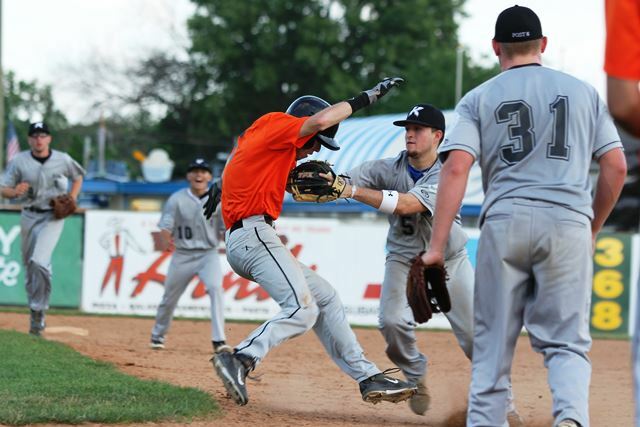 The Sixers cruised past Lafayette Post 11 in a 10-5 win in game three. Turned pitched five innings to pick up the win. Warden smacked two doubles, Josh Jansen had two singles and a double to go along with three RBI’s and Blevens had a single and double. A 22-hit offensive outburst helped Kokomo earn a spot in the title game as they blasted Richmond Post 65 in a five inning game, 19-2. Nathan Kirk earned the easy win. Five Sixers recorded five hits in the game: Dunn, Goudy, Warden, Turner and Blevens. The bats finally slowed down in the title bout as Bristol avenged its first game loss by topping Kokomo 2-0. Turned had the only two hits for Post 6 in the disappointing loss. Post 6 returns to the diamond in the 4th Annual Post 27 Patriot Tournament in Plymouth from July 3-6. The tourney features wood bats only and is sponsored by the Hoosier Bat Company.